If you live in Orrell you’ll probably be aware that there aren’t too many tyres specialists in the area. So if you’re looking for tyres in Orrell then take a trip to A&M Tyres just down the road in Pemberton. Not too far from Junction 26 of the M6 you’ll find A&M Tyres. A&M provide a range of tyre choices for almost any vehicle from cars to SUV’s, vans, motorhomes, caravans to motorcycle and scooter tyres. With some of the very best tyres deals from the leading manufactures you’re sure to get the right tyres at the right price. 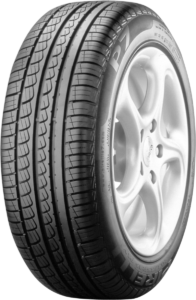 We work closely with some of the leading tyres manufacturers including Falken, Bridgestone, Kumho, Continental, Pirelli, Michelin & Dunlop to name but a few. Our close ties with these manufacturers ensures we can provide some of the best prices around for premium tyres. If you’re looking for budget tyres in Orrell we’re here to help too. Our range of budget tyres are selected for the superb all round performance at a price that suits any pocket. Many people risk buying illegal part worn tyres, our new budget tyres are often cheaper than part worn tyres keeping you safer on the road. As motorcyclists ourselves we understand it can be tougher to sometimes getting good quality tyres and having them fitted. At A&M Tyres we don’t just supply the tyres we provide all the tools and a dedicated area specifically set up for motorcycles, making it easier for tyre fitting and even getting those annoying odd jobs done. From Orrell to Upholland, St Helens to Standish, in fact wherever you are in the region we provide a friendly, convenient and professional tyre service for all types of vehicles. We understand the importance of safety, good old fashioned high quality workmanship and of course great value. Call us today or drop in we’re always happy to help.